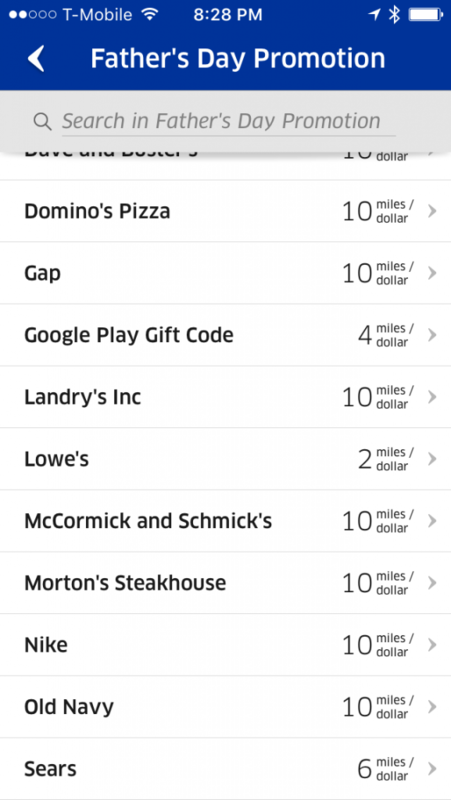 Chase Ultimate Rewards adds 2 new partners! I’m a huge fan of Chase Ultimate Rewards, so it was great to see a note from Chase in my e-mail about adding yet more transfer partners! 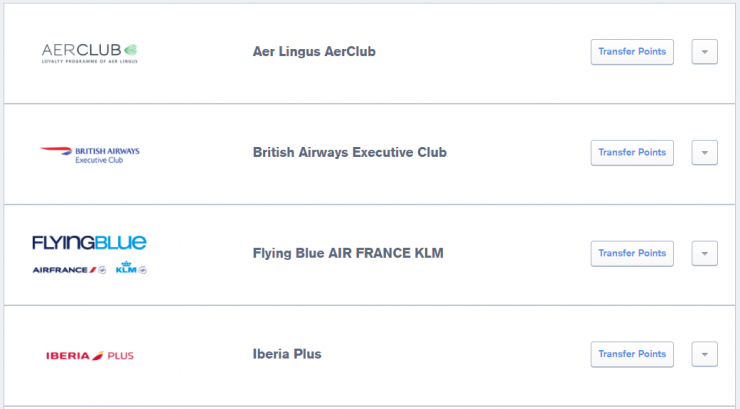 The particularly exciting thing about this is that Iberia usually has fewer fuel surcharges on premium cabin awards! There is a way to transfer between Avios accounts, but if you’re able to just transfer points directly, it becomes a time saver. 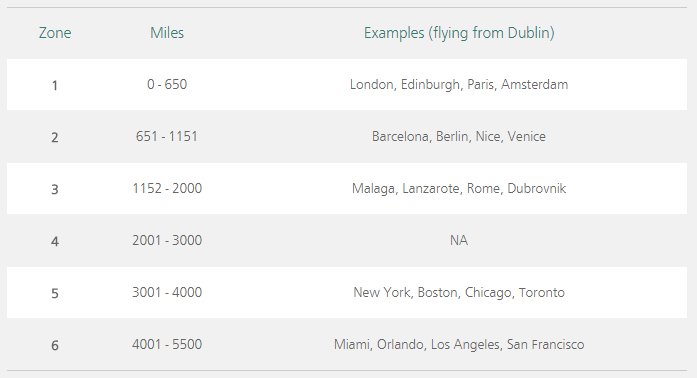 I couldn’t find a one to one match, as the BA flight I could find included a connection in London, but if AerClub prices out based on total mileage of the itinerary, rather than on a per segment itinerary, then this could be a helpful option. 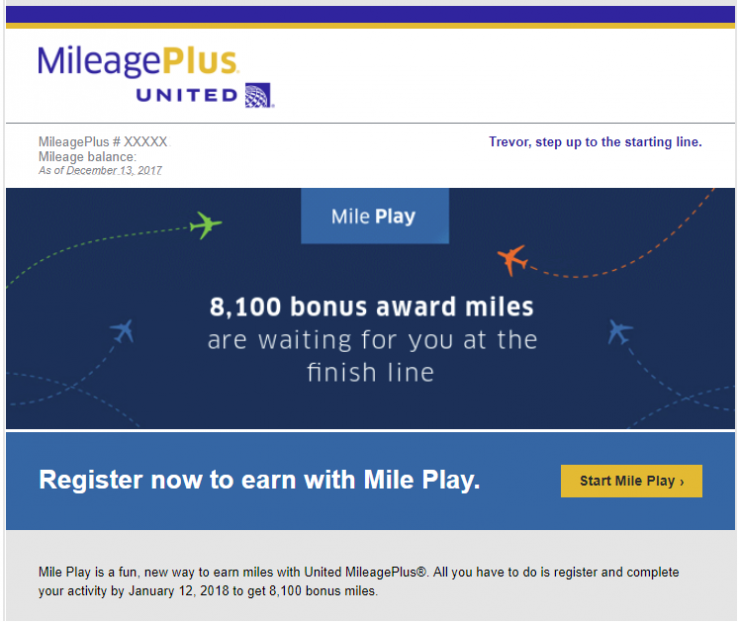 Overall, I’m not sure that this action necessarily changes the game for Chase Ultimate Rewards. 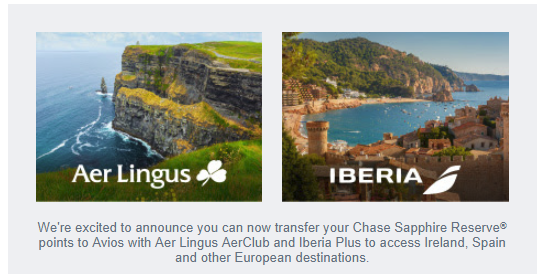 They are logical partners to add given the Avios tie up and strong co-brand card relationship Chase has with British Airways. Does it make the program more attractive? Definitely. For me, this makes me want to spend some more time looking to see if there are any discriminators that make AerClub more attractive than say, Iberia. On the whole, this is a good news story. 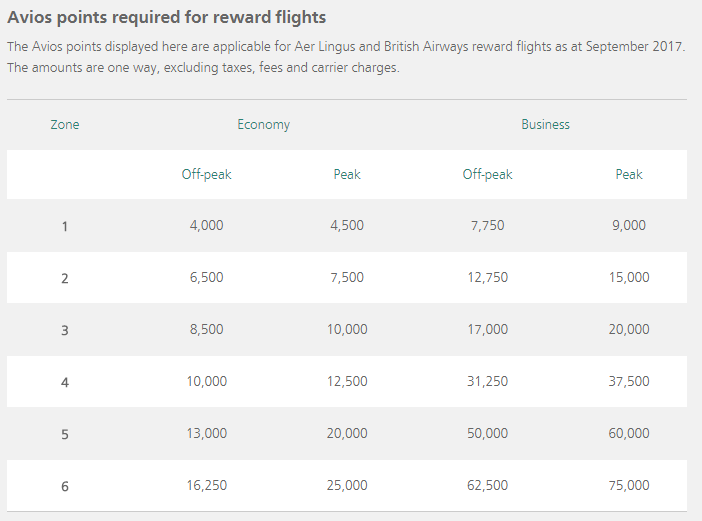 Have you redeemed with Aer Lingus’ AerClub? Should this be a bigger deal? Will the Southwest Companion Pass continue to live? 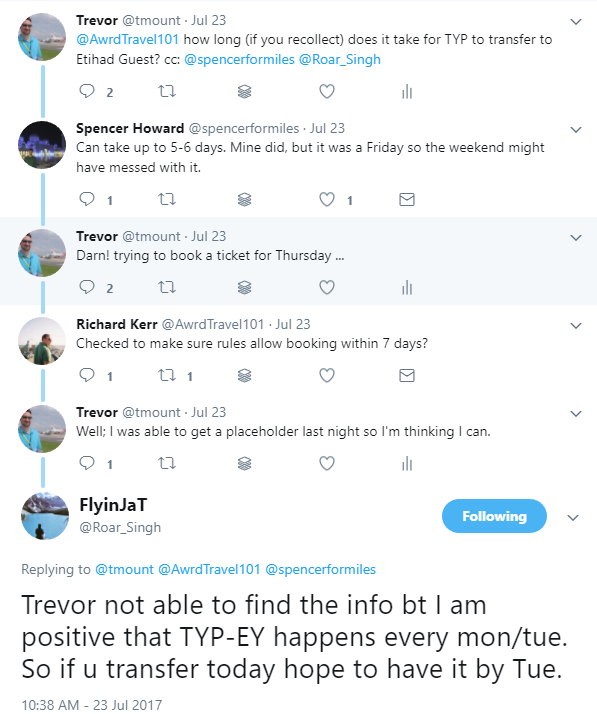 I saw an interesting conversation on Twitter last night about the Southwest Companion Pass, which I think is the best deal going in North America Travel. 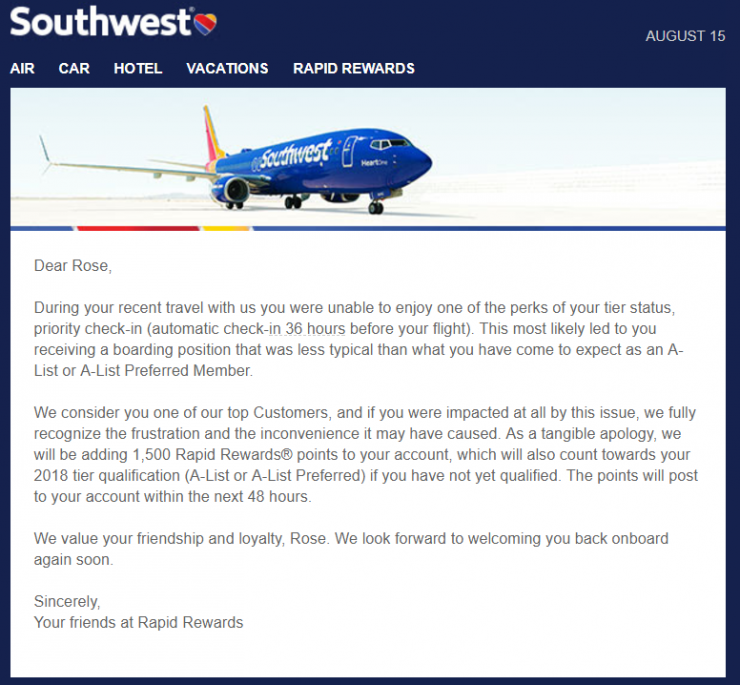 You can read more about Southwest’s Rapid Rewards program as well. Last year Southwest killed the “Marriott Hotel + Air Package” transfer miles/points as counting toward the Southwest Companion Pass. You can read more about that from FrequentMiler, I also shared my thoughts on Southwest’s change on the Marriott Hotel + Air package too. Needless to say, the deal worked until March of 2018. I personally jumped on it, and hopefully many of you did. Every year there is discussion as to whether the Southwest Companion Pass will continue to persevere. I think the entire travel hacking community agrees – it is the single best value in travel hacking. Even I, who prefers to fly in international first class, agree that it is the best deal in travel hacking. Besides, Southwest isn’t that bad! 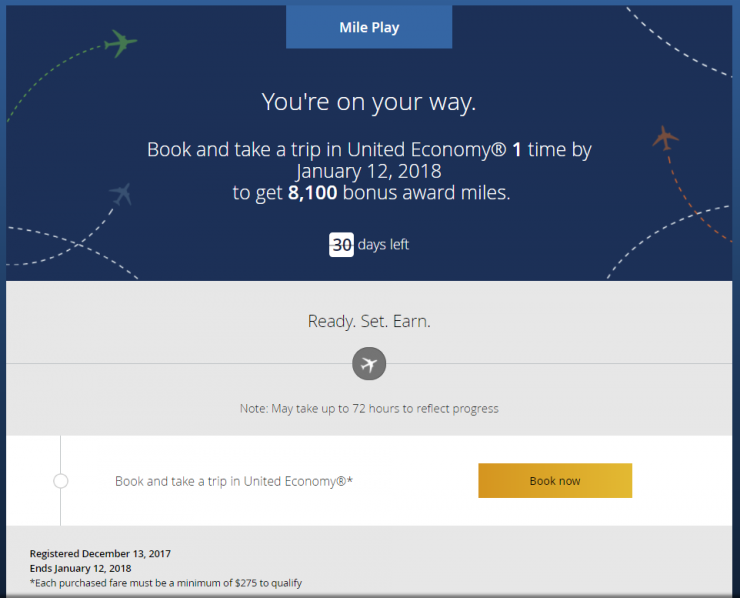 The Southwest Companion Pass combined with being able to redeem points for the companion pass holder (who must “pay” for the flight), is about as good as it gets for North American travel that Southwest serves. 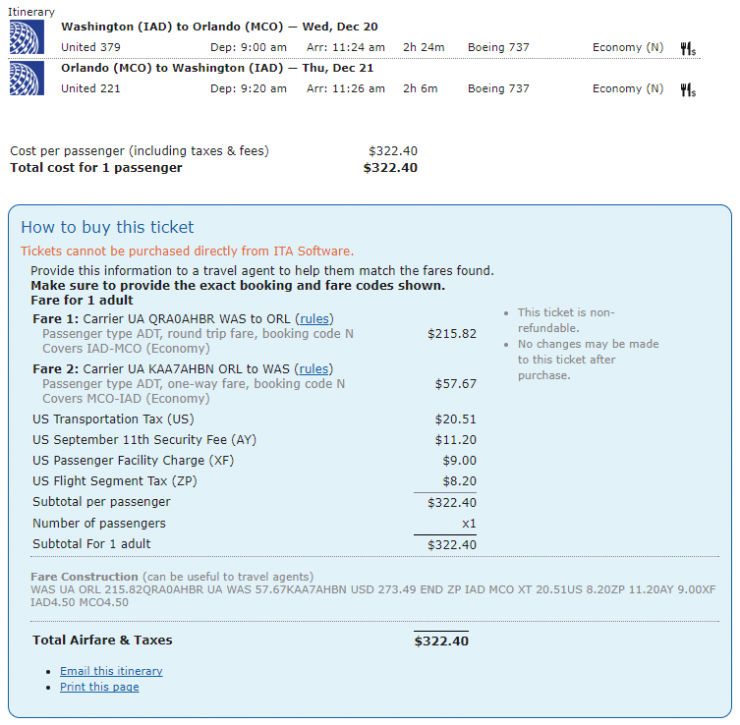 Southwest is not always the cheapest, but because they’ve trained their customers to go directly to Southwest.com – that doesn’t impact them as much. Using the Companion pass still means spending money–or points–with Southwest – which cultivates loyalty. As an added bonus, you can also watch all the live TV–based on NY stations–that you want for free as long as you’re on a wi-fi enabled aircraft. Is the Southwest Companion Pass the best deal in travel? I would argue it is. However, Southwest in partnership with Chase has made it just hard enough to get, that I suspect the best deal in travel is safe, at least for another year. Don’t get me wrong, there are still a handful of ways to obtain the Southwest Companion Pass… heck, a few years ago, my wife and I obtained it from reselling. 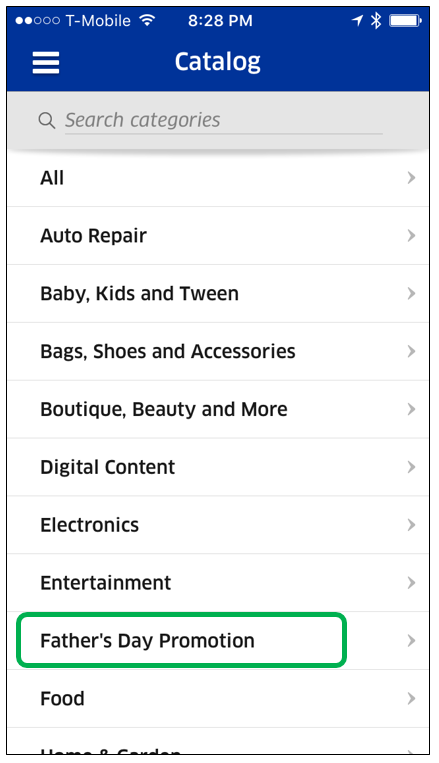 Shopping Portals continue to be your friend. But realize that it is a lot of spending in order to get there. At this point, if you’re unable to maximize points through Chase Credit Card signup bonuses, you may have to balance spending via shopping portals with actual Southwest Airlines flying. Do you think the Southwest Companion Pass will live through 2018? 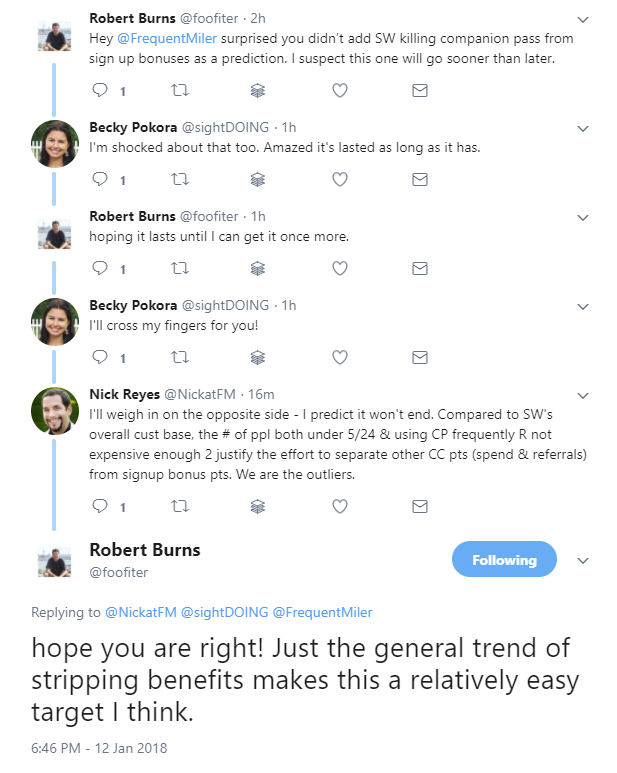 I’m not sure how widely known last week’s Southwest Reservation System Issue was, but I did happen to see random mentions about it on twitter. Thinking back to the flight my wife and I took on Sunday where folks were saving seats rows away with their bags, I do recall the A List section of the boarding line seemed pretty thin. My wife even commented that she got a worse boarding number than me with no status (hah! ), and when she boarded between A and B, that her A List status didn’t even show. Luckily the gate agent was amenable. Even worse, it appears that status has been removed from future reservations as well. So, check your reservations! As I mentioned, my wife experienced this issue. At the time, we didn’t really know that it was so widespread. Just figured with Southwest’s Reservation System Upgrade that there was some gremlin. Learning that it was more widespread, we probably should have called and asked nicely for something. But we didn’t — only so much time in the day. 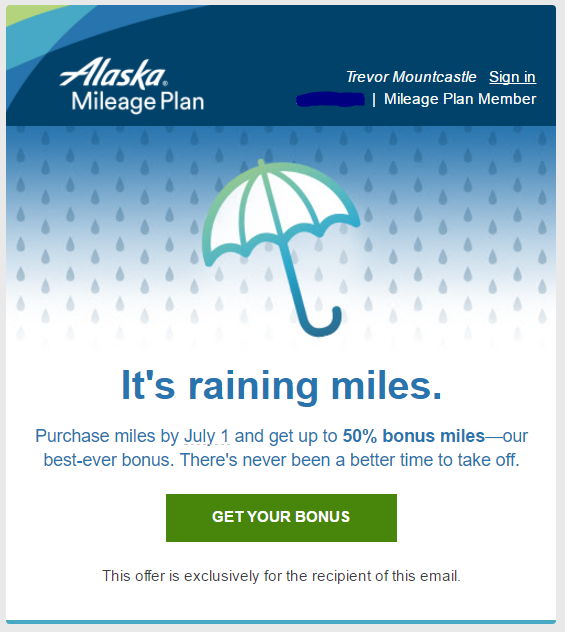 Much to my wife’s surprise, last night she received the below e-mail, coming with it, 1,500 Rapid Rewards points that count toward status! Its not a lot of points, but it is certainly a nice tangible gesture. Did you experience any issues with Southwest last weekend? Did you receive a similar e-mail? One of the things that I am always surprised with is how long it takes to transfer points between programs. I totally get it that IT is hard, but, seriously, this isn’t rocket science. So when I submitted a request to transfer Citi Thank You Points to Etihad Guest a few weeks ago, I was being overly optimistic to hope to book a trip a few days later. You see, I’m spoiled. 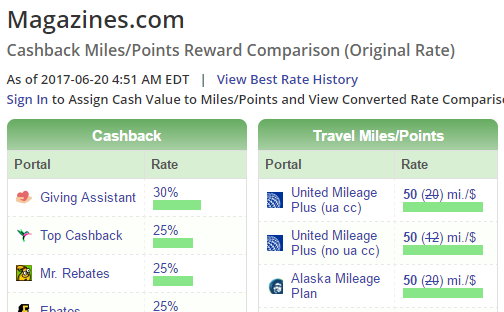 I’m used to transferring Chase Ultimate Rewards Points to Hyatt or United, where it is instantaneous. Of course, before making the transfer to Etihad Guest, I did some research. On Twitter, I learned that it could take 5-6 days, however, @Roar-Singh stated that he thought it was every Monday or Tuesday. Was there a lead time to be “queued” for Monday or Tuesday. Both Lucky and The Points Guy further confirmed that it could take as many as 6 days. I was hoping for quicker, but, it was good to have a baseline for how long I should expect it to take. I already had it in my mind that there was a chance they might not make it in time to book my desired award on Royal Air Maroc. I initially put in the transfer on 22 July, it was a Saturday evening. I saw the points were in fact taken out of my Thank You Points account on the same day. I then started religiously checking my account every single day for the next 2 weeks. Every day, hoping to see the points show up. It was not until I received an e-mail on 7 August that the points showed up in my Etihad Guest account. 16 days later! 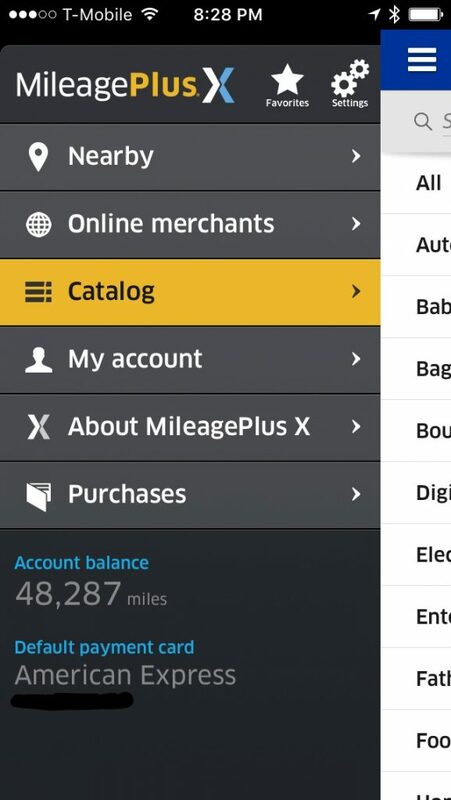 Finally, I had 88,000 Etihad Guest miles in my account. I think the bottom line here, is that not all points transfers can be quick. Upon further research, I found that there was also a known issue with transferring Citi Thank You Points to Flying Blue nearly the same time. Overall though, treat this as a cautionary tale – transfer your points early if you know what you want. Have you tried to transfer Citi Thank You Points to Etihad Guest? Share your experience in the comments. The latest Skytrax Airline awards were announced at the Paris Air Show, and I have to say, I’m left wondering whether Skytrax Awards are perception over reality. Don’t get me wrong, I agreed with most of Skytrax perceptions with regard to airports. Skytrax Awards are largely revered within the industry. Traveling around Asia this past weekend, I heard it mentioned a couple of times on Bangkok Airways, which received an award for the best Regional Airline, and Thai had advertisements for the best Worlds Best Economy Class. It is admittedly kind of a big deal when 19.87M votes are cast, but I am still left wondering whether this is a perception thing over reality. For me, this is where the rubber meets the road. I have flown Qatar on the 787 and the 777-300ER. Flying from Washington’s Dulles International Airport, we are serviced by the 777-300ER, so that’s the experience I most commonly associate with Qatar. Lucky believes Qatar Airways to be deserving of the Skytrax awards and to have the best business class. I’ve shared my opinion of the best business class product in the past. I totally get that Lucky is basing Qatar’s best Business Class based on the 787, A350 and A380 hard products, however, according to Wikipedia 57 aircraft across those three aircraft types (in fact, most of them, 30 are 787s!). The fact remains though that the seats flown on their 26 A330s, 4 A340’s, 9 777-200LR, and 34 777-300ER’s are a far inferior, 2-2-2 business class configuration. So more than half of Qatar’s fleet has an industry trailing hard product. Specific to Qatar, I truly question whether this is really a perception over reality. Realize that the ballots were all cast well before the first 777 flew with the new QSuites. I totally get that Qatar provides a very good soft product, but how can an airline that has less than half of their fleet with a solid hard product, be the number one business class product? 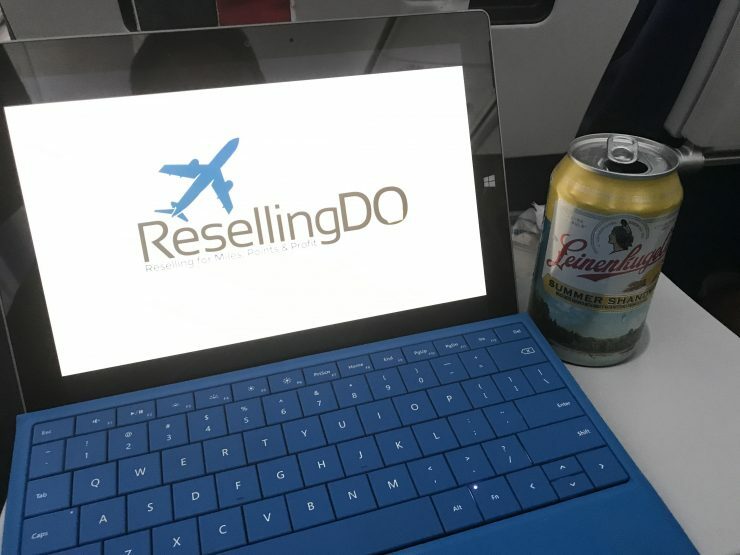 If you’re flying Southwest Airlines today, enjoy a drink on them in celebration of their birthday! 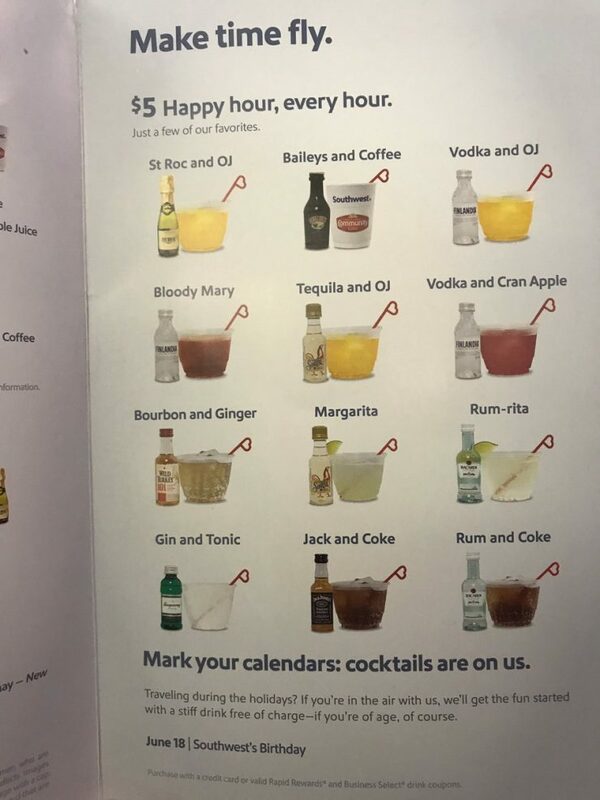 I just happened to be flying home from Austin this morning and noticed in the cocktail menu that 18 June is Southwest Airlines’ birthday and that is a good enough reason to have a free drink from the airline. This joins St. Patrick’s Day and (I think) Valentine’s day as free drink days. Thanksgiving may also be on the list along with the other majors of Christmas and New Years. It still amazes me how Southwest, a fairly no-frills airline, still finds a way to do nice gestures for its passengers. I’d imagine these days of a free drink don’t really cost all that much, but the goodwill it engenders is something that many other airlines could definitely benefit from. Are you flying Southwest today? Did you toast a free drink for Southwest Birthday? 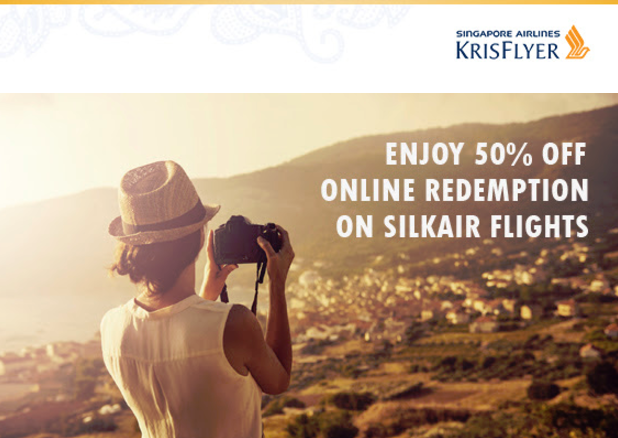 Save 50% on Regional Southeast Asia Awards with SilkAir! I’ve found SilkAir and Singapore Airlines to be very helpful when finding regional flights in Southeast Asia. It’s allowed me to hop around Asia and include a stop in Singapore for many trips. . Right now, you can save 50% on Regional Southeast Asia Awards with SilkAir, which makes it even more of a bargain. It is important to note that this only applies to flights that are operated by SilkAir, Singapore’s regional carrier. 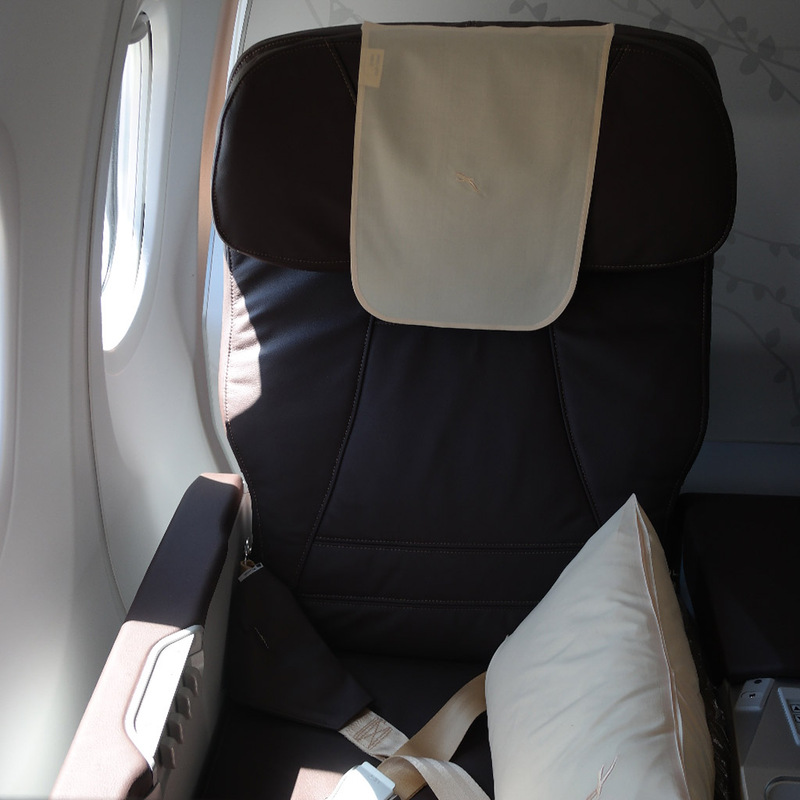 SilkAir primarily operates narrow bodies, but they are comfortable for a sub 4-5 hour flight. I flew a SilkAir 737 from Phuket a few years ago and much enjoyed it. You can save 50% on Regional Southeast Asia Awards with SilkAir! The terms of the promotion are pretty simple: Book between 12 June and 11 July, for flights 1 July through 31 October and choose from 53 destinations. This is for economy and business class awards. But, to be clear, they must be operated by SilkAir. 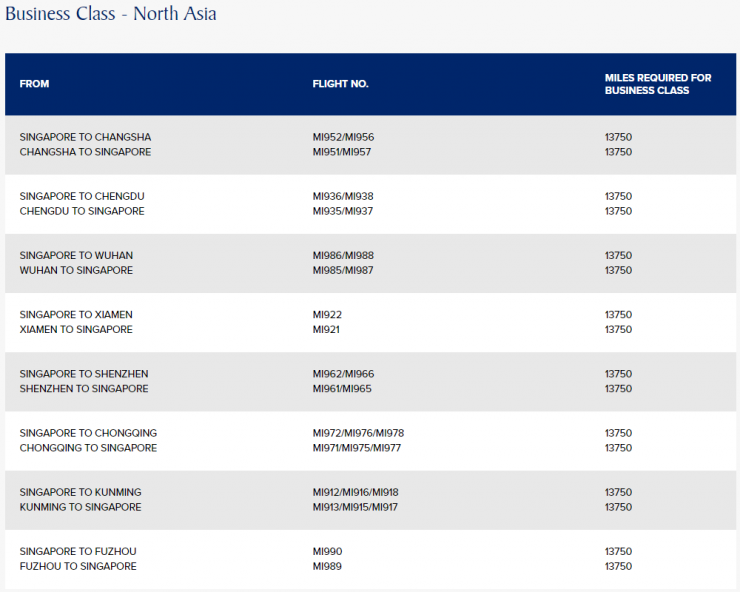 As you can see, you can fly SilkAir to Myanmar, Cambodia, Vietnam, Thailand, Malaysia, Laos. You can also fly to a number of cities in China, India, Sri Lanka, and even the Maldives! 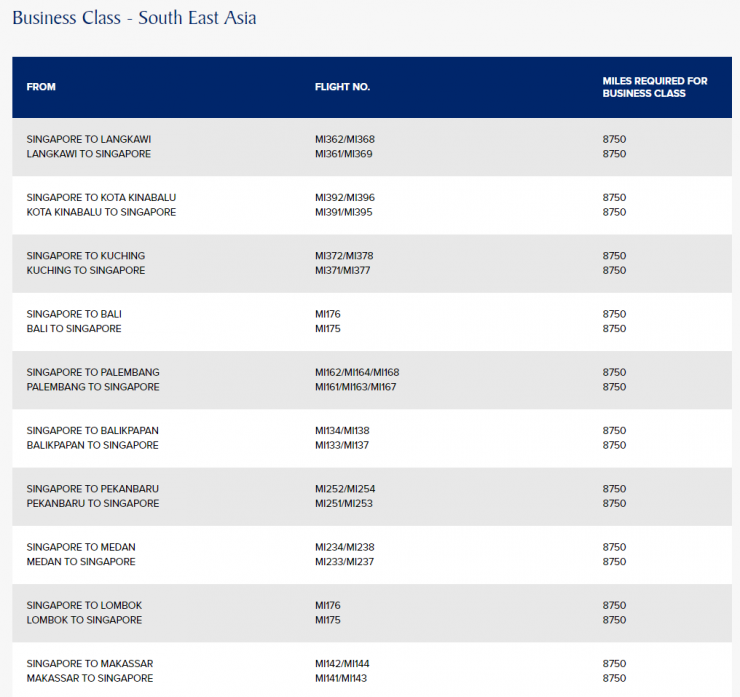 There are even more options for Economy class upgrades. This is an excellent opportunity if you will be flying to Southeast Asia. Its a great opportunity to nest these 50% award flights with a tough to find over-water flight. It also is an excellent opportunity to leverage if you want to hop around Southeast Asia or even fly up to parts of China or out to the Maldives. Will you be leveraging this amazing deal to save 50% on Regional Southeast Asia Awards with SilkAir?